DMPTool is a resource that will help you to create a funding agency-specific DMP for your grant proposals. 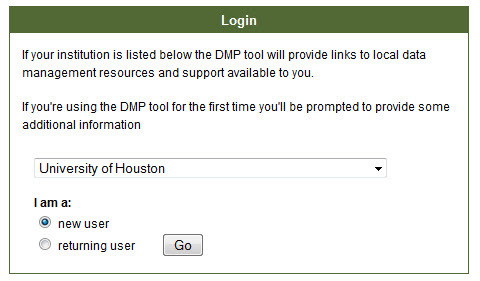 To begin using DMPTool, click on the login box below, select the University of Houston from the drop-down box and "new user" if you are new to DMPTool. You will be prompted to login with your Cougarnet account information. 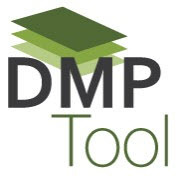 Enter your name in order to create a personal DMPTool account, and you are ready to begin! Simply select the funding agency and directorate if applicable, and begin filling out the required information. If you have any questions about the form or your responses, please contact Santi Thompson at sathompson3@uh.edu. Check with your funding agency to ensure that you provide all of the relevant information in your DMP! Links to the DMP information for a few of the bigger funding agencies can be found on this page.